Happy Tuesday! Here is the follow-up post to the video blog I posted yesterday talking about the fall trends for this year. Below you will see some examples of the color trends I talked about looking for when you are shopping & that you should invest in for the fall. 1 - Pink! Any shade will do. 2 - White! The old rule about no white after labor day is gone! 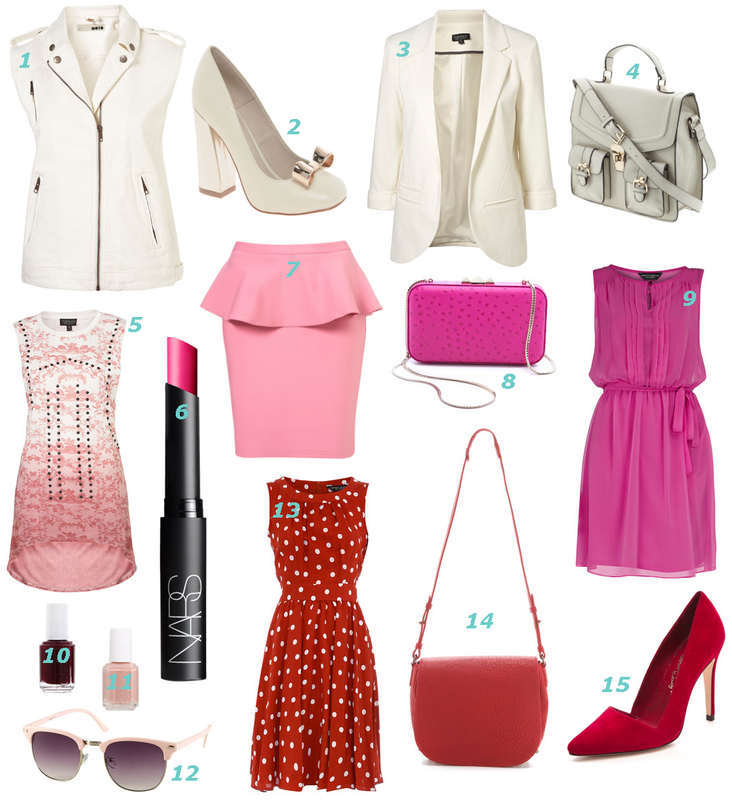 Those are the colors from Part 2 of the Fall Fashion 2012 Must-Haves. Next Monday I will be back with Part 3 containing more fall goodness. Here's to leaves changing colors & pumpkin spice lattes soon!